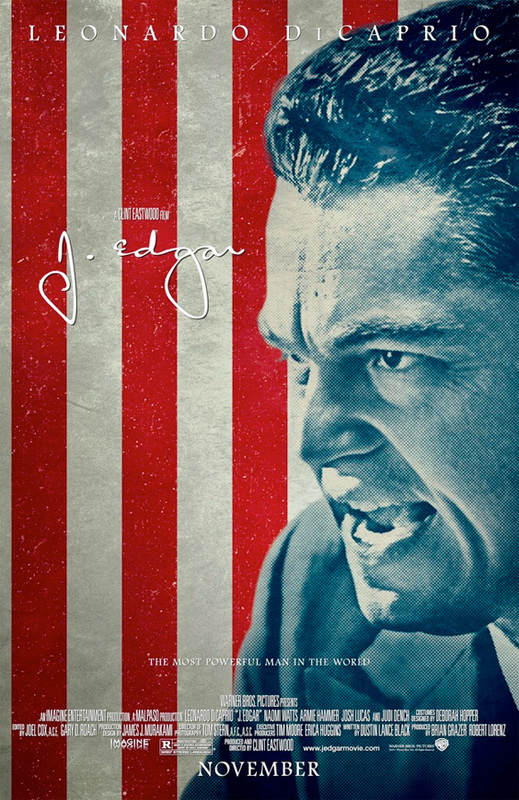 Last month Warner Bros. debuted the first official trailer for the promising, awards-qualifying drama J. Edgar from director Clint Eastwood and starring Leonardo DiCaprio as FBI director J. Edgar Hoover, and the film looks positively exquisite. Though usually a poster comes just before a trailer gets released, we're just now getting a couple of posters featuring DiCpario looking rather commanding and intimidating as the titular man from our nation's history. Though each poster uses the exact same image, one is much more stylized and artistic than the other. You'll understand after you see both of the posters below. Pretty good. I like the second one. Definitely, the trailer was fantastic. Second one looks good. Trailer was weak. Leo's voice still hasn't broken. Can hardly buy him as a grizzled old spook. 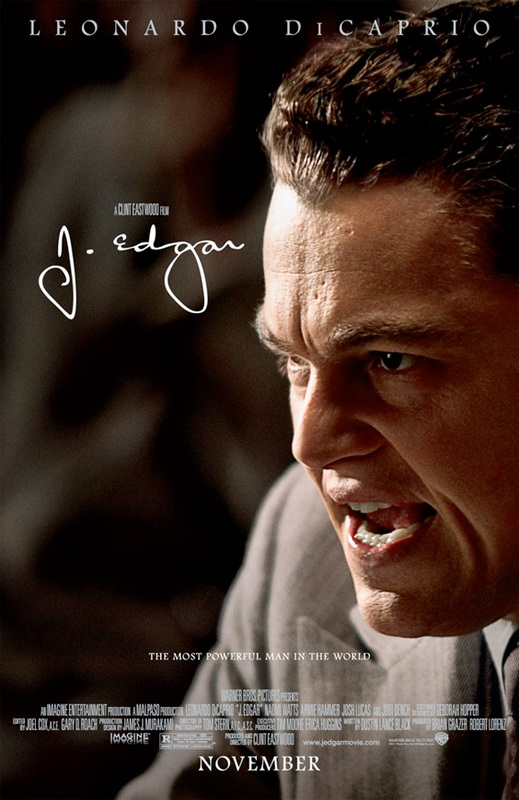 I think Leonardo will surely get a nomination for an Academy Award at least. He is incredible and he is amazing. And I think he will get it. It’s an incredible performance, just wonderful.